To offset reduced warranty income, Penske Automotive Group dealerships are doing work they once outsourced. Headlamps looking yellow and dirty? Penske Automotive Group's headlamp reconditioning service can take care of that. The nation's second-largest auto retailer is taking in-house a lot of specialty work it used to outsource. Penske Automotive also offers a discounted menu to customers who purchased vehicles from its stores but have shunned its shops. The initiatives are designed to boost the publicly held retailer's nonwarranty retail service business. Warranty business is declining as vehicle quality improves, so the company is trying to offset the erosion with new business. 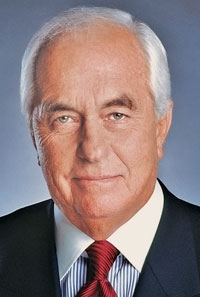 "In many cases, we have a different menu for people that have cars that are over 3 years old, so they don't go to the Pep Boys, they don't go to the Wal-Mart service centers -- they come into us," CEO Roger Penske said during the dealership group's recent conference call with analysts. Penske told analysts that the tire- and wheel-repair business is particularly strong in a retail network heavy with luxury makes. The company's retail service work was up 4 percent in the first quarter while warranty labor was down 4 percent, he said. Excluding the recall-related repairs for the company's Toyota and Lexus stores, warranty work was down about 10 percent. In an interview, Senior Vice President Tony Pordon said the Penske dealerships use existing service bays as they add services. "We have excess capacity," Pordon said. "We can reallocate space, using the bays where we wash or detail cars. We can retrain existing personnel and sometimes hire the outside specialists we used to use to do the work." Pordon declined to disclose the investment the dealership group is making in the new services or the effect the new services and revised menu have had on service revenues. Penske Automotive Group reported $335.2 million in service and parts revenues in the first quarter, up from $327.5 million in the comparable quarter of 2009. "It's probably 44 percent of our total gross profit in our business comes out of parts and service," Penske told analysts, "so we have a chance to continue to grow that."